This is a howto about setting up a proffessional PHP IDE using Eclipse by hand. I’ll be using Eclipse PDT for PHP support. The PDT project provides a PHP Development Tools framework for the Eclipse platform. This project encompasses all development components necessary to develop PHP and facilitate extensibility. It leverages the existing Web Tools Project in providing developers with PHP capabilities. We will have in the end features like subversion support, edit remote files, database development, debugging and more. The Target Management project creates data models and frameworks to configure and manage remote (mainframe down to embedded) systems, their connections, and their services. The base toolkit includes a Remote Files subsystem that allows transparent working on remote computers just like the local one, a shell and a processes subsystem. Other offerings include a lightweight Terminal and a Network Discovery framework. In the “Available Software” tab, click on the “Add Site” button and write this one: http://download.eclipse.org/dsdp/tm/updates/3.0/ (this is the URL for the version 3.0, check TM/RSE site to get latest one). Now click on “Manage Sites” and check the TM/RSE URL. In the “Available Software” tab, click on the “Add Site” button and write this one: http://subclipse.tigris.org/update_1.4.x (this URL is for the version 1.4, check Subclipse site). In the “Available Software” tab, open “Ganymede”. Go to “Web and Java EE Development”. The Eclipse Data Tools Platform provides extensible frameworks and exemplary tools, enabling a diverse set of plug-in offerings specific to particular data-centric technologies and supported by the DTP ecosystem. You need to install first some required components for PDT. The Graphical Editing Framework (GEF) allows developers to take an existing application model and quickly create a rich graphical editor. This module is needed for Eclipse PDT. Go to “Graphical Editors and Frameworks”. Dynamic Languages Toolkit is a tool for vendors, researchers, and end-users who rely on dynamic languages. DLTK is comprised of a set of extensible frameworks designed to reduce the complexity of building full featured development environments for dynamic languages such as PHP and Perl. Besides a set of frameworks DLTK provides exemplary Tcl, Ruby, and Python Integrated Development Environments ready to use out of the box. The PDT project provides a PHP Development Tools framework for the Eclipse platform. 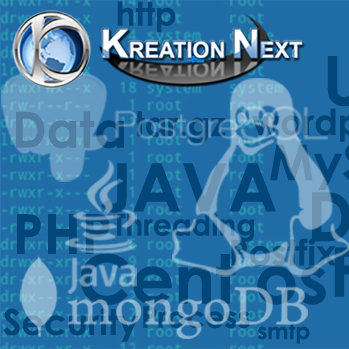 This project encompasses all development components necessary to develop PHP and facilitate extensibility. It leverages the existing Web Tools Project in providing developers with PHP capabilities. Download latest integration build here. Go to “Available Software” tab. Select the folder where you unzip the file. Now you can start develop PHP application using Eclipse/PDT.